Order this week for free shipping in Europe!! NEW NEW NEW!! 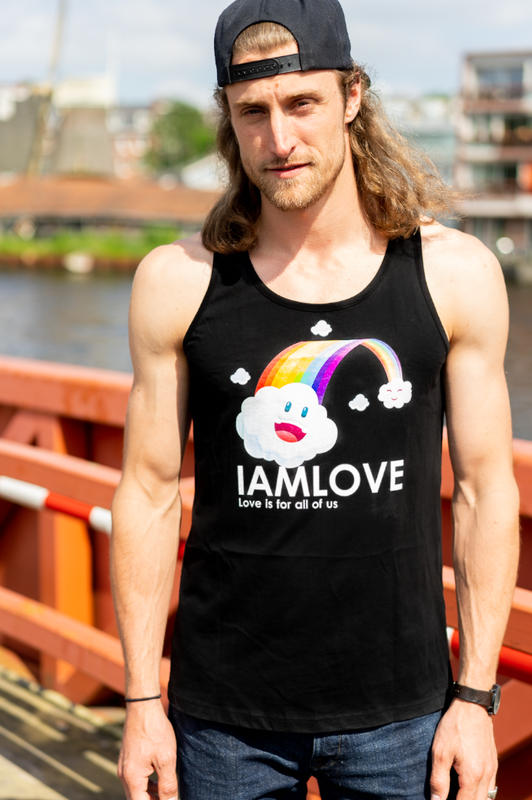 The Happy Rainbow collection by IAMLOVE. Organic// Fairwear tanktops with printed rainbow on front. Available in black and white. 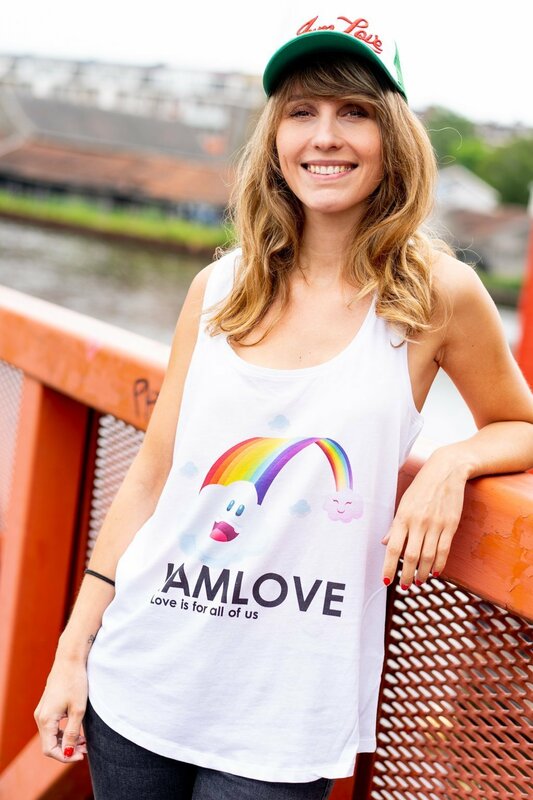 -The Happy Rainbow tanktop by IAMLOVE stands for equality and love. LOVE is for all of us! Happy Pride!!! -Shipping approx 10 workdays in Europe. -Ethical Fashion by IAMLOVE an Amsterdam Brand with a message. How does it work? Place the product in your shopping basket, fill in the couponcode " Happy Rainbow" in the checkout menu,  at the bottom of the page choose " free shipping with use of couponcode. There you go!! Free shipping does not count in combination with the IAMLOVE mug.